Sometimes the merest mention of the name or the designation of a certain firearm will ignite a keen interest and debate amongst gun owners. For some ‘students of the gun’ it will be one of the timeless creations of John Moses Browning or the eponymous brainchild of Canadian Jean Cantius Garand that stirs the blood. Amongst aficionados of the bolt gun the incomparable K98 or, that victor of two world wars, the SMLE usually comes to mind but in my opinion there are few post WWII bolt guns that carry the same cachet as the one attributed to the rifle first used in Vietnam by the United States Marine Corps Scout Snipers – the USMC M40. While the twin mercies of demographics and geography combined to ensure that my experience of what historians call the “Ten Thousand Day War” was limited to watching it unfold on the BBC evening news, I – like many of my generation – developed a fascination with that conflict and being a gun nut my interest naturally extended to the weapons used by the legendary snipers of that war – US Marines Hathcock, Mawhinney and England as well as the Army’s Adelbert Waldron who was, until surpassed by Chris Kyle, the US military’s record holder with 109 kills. At commencement of hostilities the USMC outfitted marksmen with a number of different weapons and in those early days the Winchester Model 70 was the un-official USMC sniper rifle. 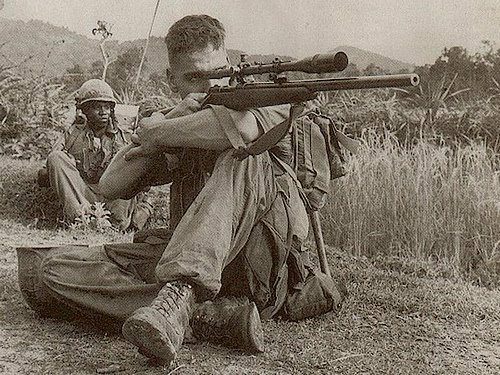 The first rifles sent to Asia to be used as sniper weapons were actually from the third marine division rifle team that had been rebuilt for use for highpower competition at Camp Perry. (Hathcock, for example, used a Winchester Mod 70 in 30-06 during his first tour). In 1964 Winchester made a fateful decision. In what was almost a case of corporate suicide, the arms maker changed the rifle to make it cheaper, easier and faster to produce. The changes Winchester made were enough to damage the company’s reputation for many years and was something some people never forgave. 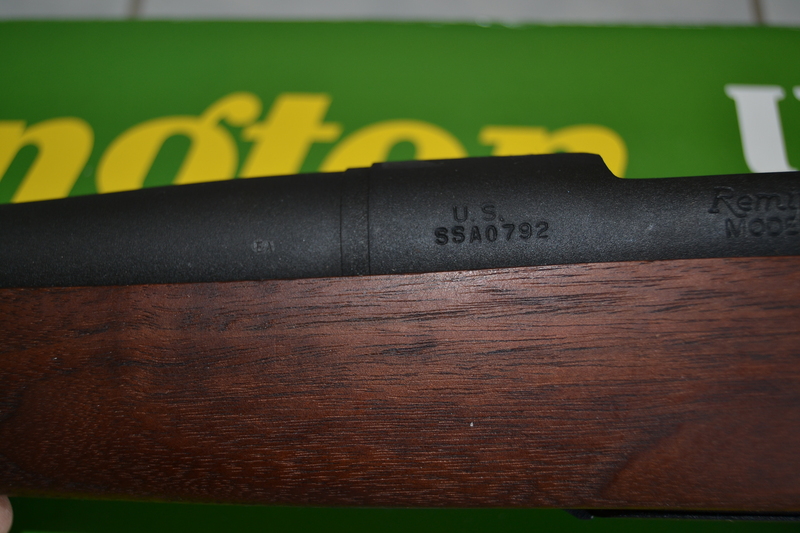 It also ended any chance the M70 had of becoming sniper standard in the years to come. 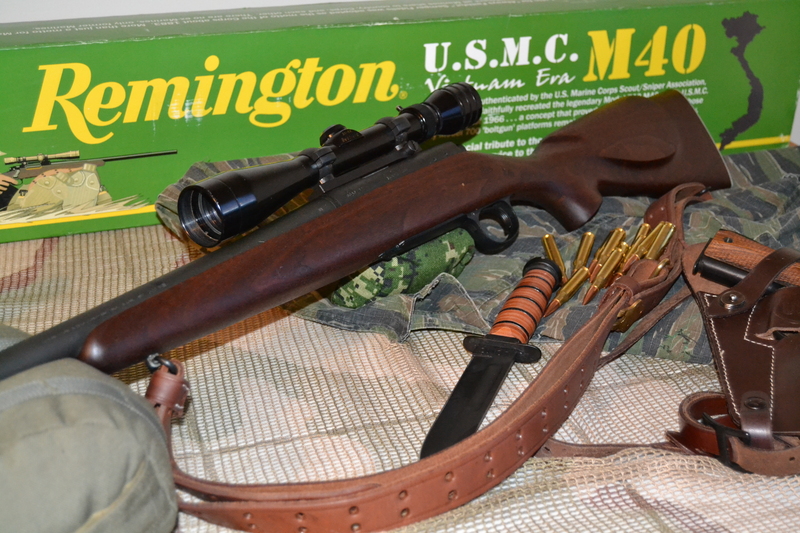 Winchester’s loss was Remington’s gain and in 1966 following upon the recommendations of a report prepared by the USMC MTU, Remington presented to the USMC a rifle – chambered in .308 – which was built in their custom shop on the Model 40XB target rifle action. 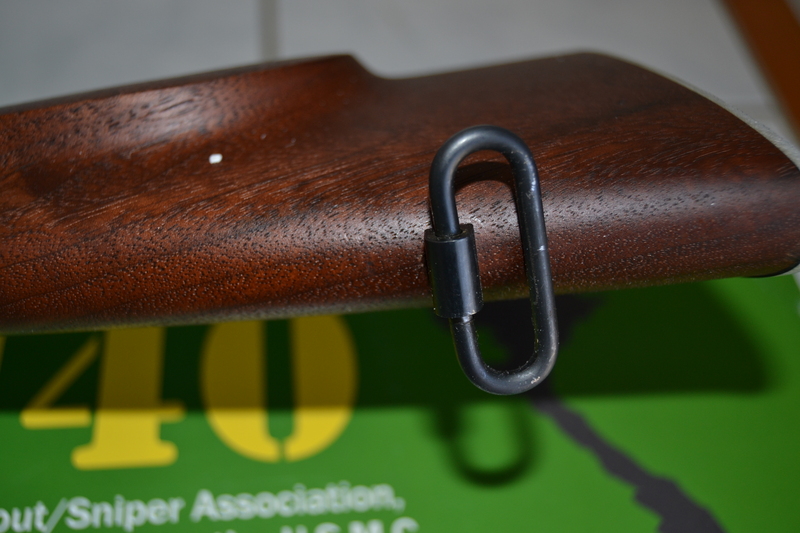 Outfitted with a bull barrel and fitted into a walnut oil-finished stock, the final order was for 995 rifles each of which were designated the M40. Warping of the stocks and fogging of the primitive Redfield scopes they carried bedevilled these rifles but in the hands of trained snipers they nevertheless proved accurate enough to allow for confirmed kills out past 800 yards and (with lots of upgrades through M40A1 A3 and A5 versions) similar rifles remain in service to this day. Regrettably, the time is long gone for there to be any hope of someone like me being able to acquire a real 1960’s M40 (one went through a US auction last month for US$26,000 and change!) and while there are a number of excellent custom shops in the US that will make one a very fine M40A1, what excited me most was the project undertaken a few years back by Remington, Iron Brigade Armory and the USMC Scout Sniper Association to make a reasonably-priced replica (as opposed to mere ‘commemorative’ ) version of the original wood-stocked rifle that started it all. 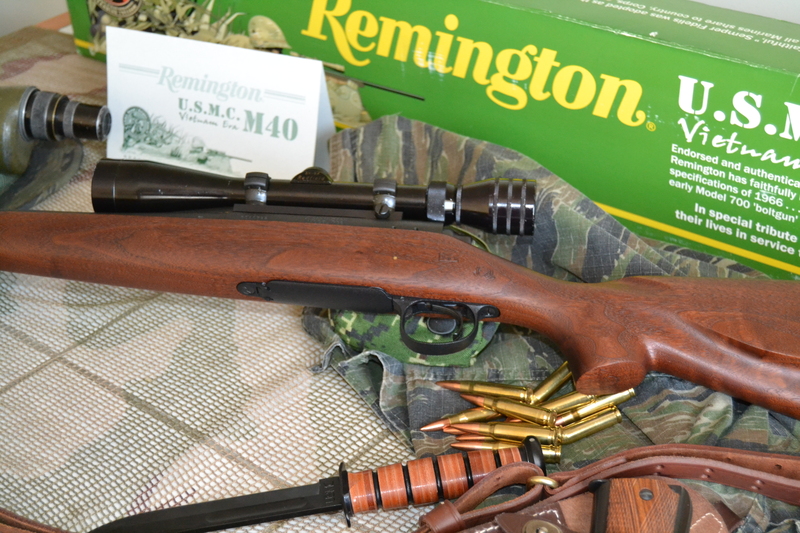 It is one of these Remington retro M40’s that has recently come into my hands and of which I am writing about here. There will always be some who say that purchasing anything other than an original is a waste of money but, were that the case few of us would own a M14-type rifle a semi-auto M4 or any other firearm that wasn’t, strictly speaking, an as-issued piece. My repro M40 was made by the same company (Remington) that made the original M40 and it is endorsed by Iron Brigade Armory and, more importantly to me, the United States Marine Corps Scout Sniper Association – if they say my rifle meets their standards of authenticity then that’s more than good enough for me. Weighing 7 1/2 pounds my M40 specs include a 1:12 ROT M40 pattern 24″ medium weight barrel with a flat crown, a “U.S.” roll marked and “clip-slotted” M40 pattern 40x receiver which is drilled and tapped for rear peep sights. The stock is a M40 pattern walnut stock without checkering which has 1 1/2 inch wide sling swivels designed for military style slings and it has the correct style heavy chequered aluminum buttplate. Interested readers may wonder why this rifle has a “clip slotted” receiver which can’t even be used with a scoped rifle. The answer to that question is simple – the 1960’s 40x action came with a receiver slot for the stripper clips which were used to reload the magazine when the rifle was used with target iron sights in high-power rifle matches such as those held at Camp Perry. 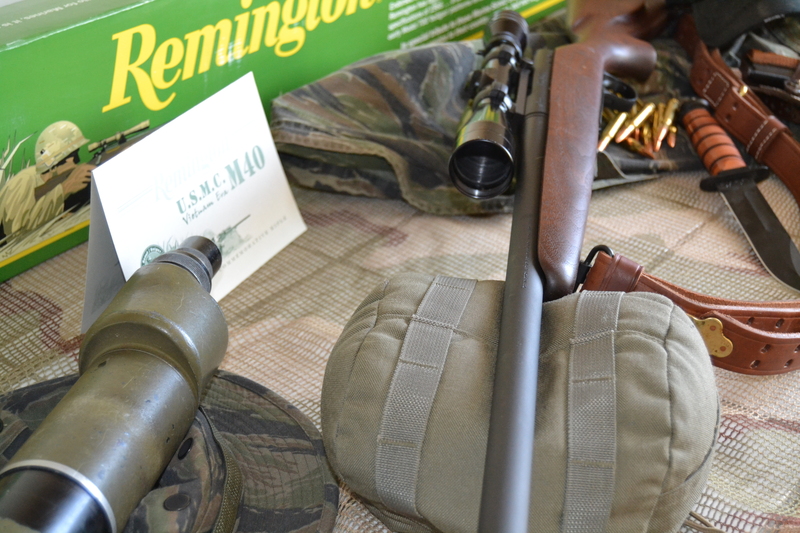 This particular rifle is complete with a authentic copy of a Vietnam-era one-piece scope mount and rings set. 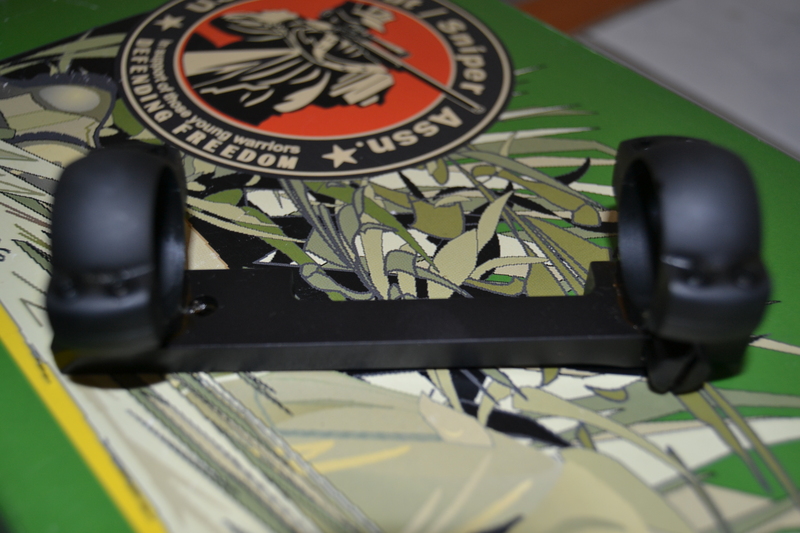 These modern mounts were manufactured by Badger Ordnance to be a faithful reproduction of the 1960’s Redfield Junior rings and base that the original M40 would have worn. Obviously there will be differences between an original made in the 1960’s and a reproduction made some forty years later. Some differences that I’ve noted between the replica and the original appears to be in the parkerized finish, the safety looks to be the modern style and the trigger is the older Remington but not, I think, the one from the 1960’s. These differences ( and maybe others ) are OK with me since I know it is a modern reproduction that I bought and not an original. 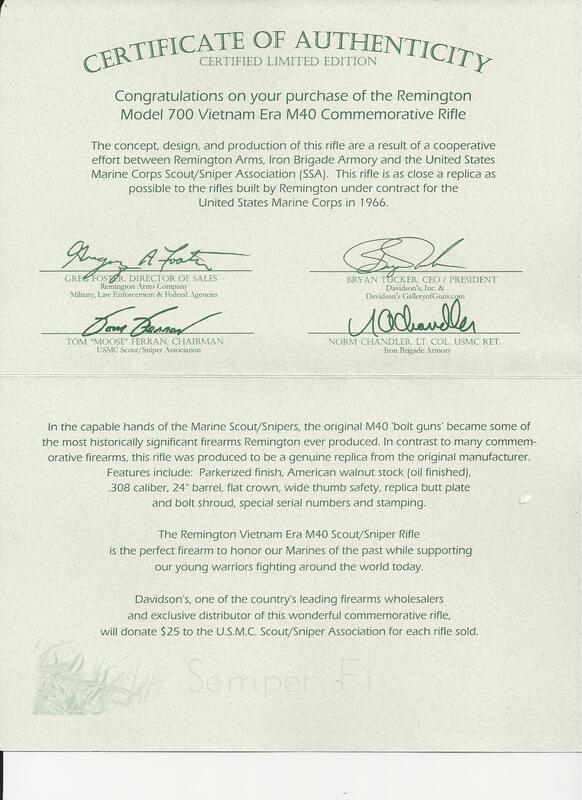 A neat touch with these replicas is the addition of a special SSA prefix to the serial number in honour of the USMC Scout Sniper Association and its’ members. 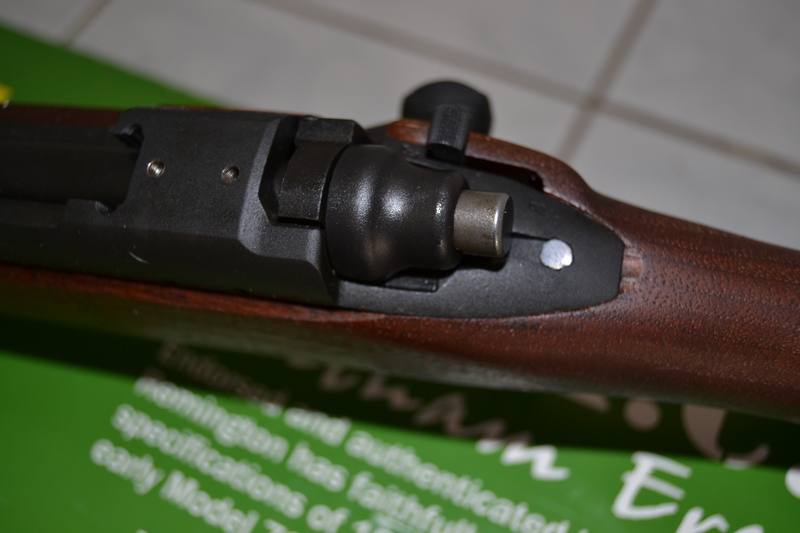 While this rifle was used when I bought it, the condition was ‘near to new’ and I am very pleased with the fit, finish and function all of which compares most favourably to regular factory offerings. 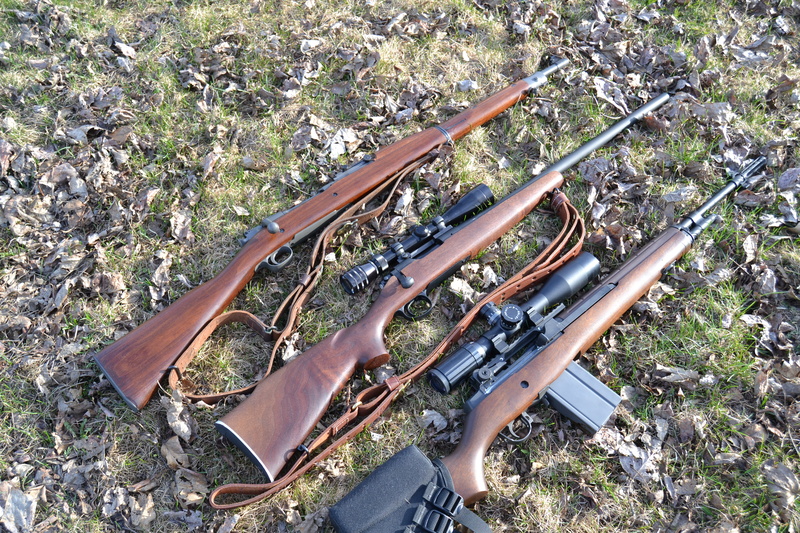 To complete the ‘near to the 1960’s’ look I topped the rifle with a 1970’s Redfield ‘Royal’ which looks similar to the Redfield Accumark these rifles would have worn when fielded. 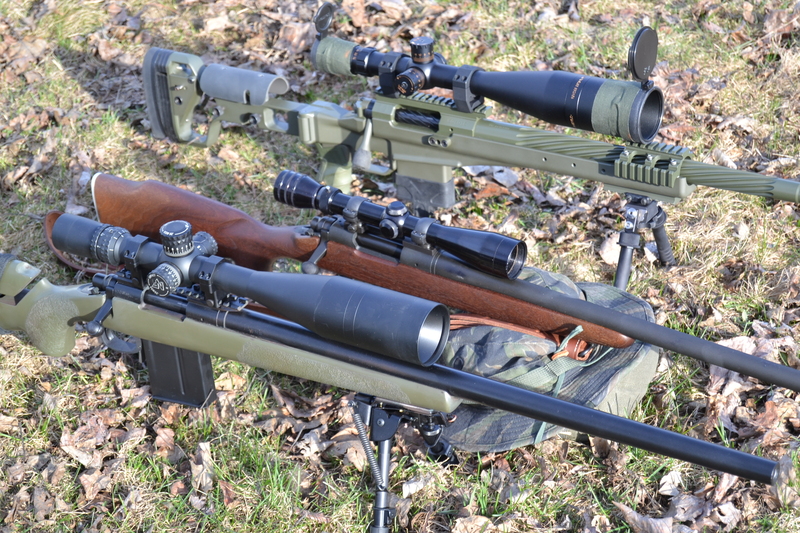 Because my eyes need all the help they can get these days I swapped out the old Redfield for a new (now discontinued) 1″ diameter Bushnell Elite 4200 6-24×40 for the actual shooting part of this article. I’ve always liked the old 4200 series scopes, they have really very good glass and have excellent light transmission so when I saw this one advertised on Amazon for a good price I figured it would sort of look the part and work well. Finally before heading out to do some shooting I swapped out the US cloth sling for a quality 1907-pattern sling which, with the exception of modern tactical slings, remains the best sling there is for positional shooting. While the original rifle would have used the US M118 load that was topped with a 173g pill I made up some loads using readily on hand components and so I used 168g Hornaday Match over 43.5g of Varget and headed off to see how she performed. For comparison purposes I took with me two other modern .308’s – one was a custom M40A1 clone built by Alberta Tactical Rifle Supply that sports a Rock Creek M40 profile barrel and which sits in a McMillian M40A1 HTG stock and the other was my PGW Coyote which, incidentally, sees service in some parts of the world as a modern SWS. I’ll confess to having been spoiled a bit because most of my rifles sport either high quality stocks or chassis systems that are fully customizable for the end user so this old school stock wasn’t quite as comfortable as I’m used to. Having said that, it is clearly a quality stock and the M40 style with raised comb feels just natural – at least to my body proportions. The palm swell was fine but the wrist is a little narrow for me – small points that don’t really affect shooting. The rifle balanced well and recoil was fine though I did notice it whereas with the heavier, modern, rifles it is really tamed. A smooth action with a nice tight lock up and a pretty good trigger – certainly better that the hateful XMP but not the best-tuned Remington trigger I’ve used. A good comparison wold be to a 700P – nice enough but not a stand-out. 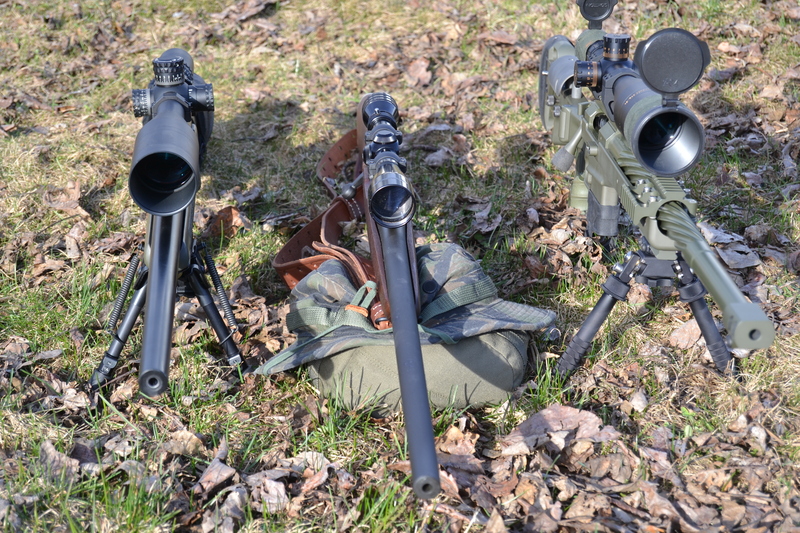 On a windy day the rifle was still capable of some sub minute accuracy. This was pretty much as expected and I suspect that playing around with some handloads will turn this rifle into a 3/4 or so minute rifle. 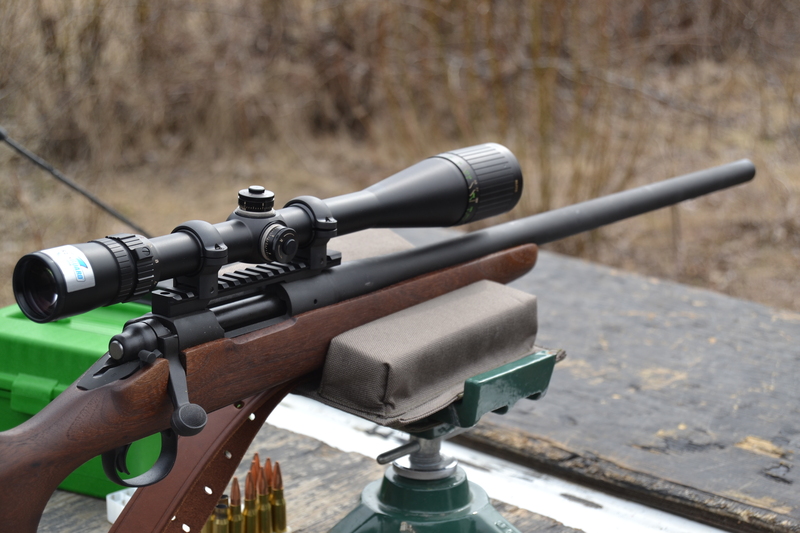 Well, there is no doubt that if one wants a heavy barreled accurate Remington rifle there are cheaper and better options than this one – any 700P or R5 is likely to be as accurate and will certainly come with a better stock and at a much cheaper price. If, however, like me you want a rifle that is as near as you can reasonably expect to a 1960’s M40 then this may well be for you. I’m very happy with this rifle and even though it is a modern replica I shall treasure it as though it is an original.